Man of Steel is set for release in cinemas across the UK on June 14th 2013. 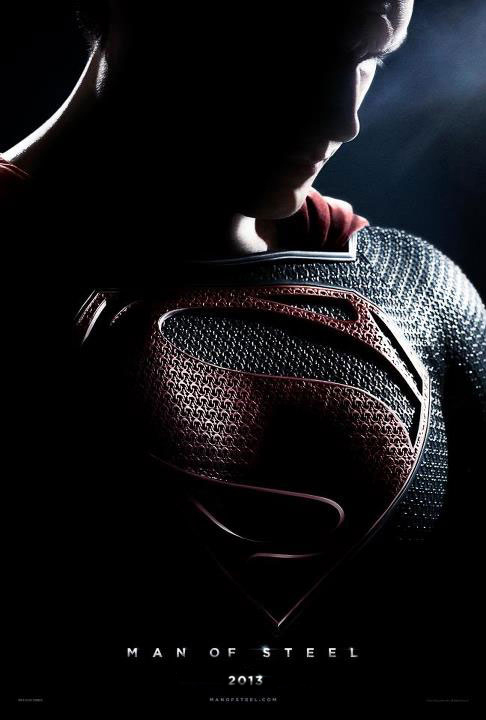 Are you expecting little from this film, or do you think it will be super...man!? Will it be a blockbuster or lacklustre? Leave your comments below! Labels: Avengers Assemble, Batman, Bond, Christopher Nolan, DC, Man of Steel, Marvel, Superman, The Dark Knight Rises, Trailer Park, Warner Bros.
My favourite Superman film, one I remember watching a lot on repeat when I was a kid, probably why it's my favourite, is Superman 2. It was fun, didn't take itself too seriously, allowed space for some silliness (which would not work in conjunction with Nolan's trilogy I know). It was just immensely entertaining and I felt worked for that character. I felt a great surge of joy whenever he'd appear flying towards the camera as the music kicked in! This will be a darker film with strong serious themes, not something I have much of an issue with but I really doubt Snyder's ability to balance it all without it becoming just a man in a cape, flying around, saying serious Nolanesque things, just looking cool while fighting some big bad-guy while diverting a missile crisis (or maybe some kind of literal bank collapse to make it contemporary) and not much more. All looks, complicated plot and dark themes, nothing much to invest in character wise. Featuring none of those surges of childish joy. I really hope I'm wrong and at least with Nolan and S. Goyer writing and Snyder's visuals it should be an epic cinematic experience as well as hopefully lead up to something great. Overall this film would be a real worry to me, especially after the disappointment of Superman Returns, if I had much invested in the Superman character. Unless I loved Snyder. And Superman. And Kevin Kostner (lolage). But this is kind of pointless to say as I'm just really giving my opinion and that sure is not mine. Sorry. I'm very tired. Man that Superman Returns sucked... even with bald Spacey getting angry all the time! Also if at any point it looks like I doubt the ability of Nolan as writer... I really don't, it's just the drag factor of Snyder. I apologise for the use of "lolage", like I said I'm very tired. Be sure to hold back the tears, it can be quite emotional (particularly when when Brando gets involved http://www.youtube.com/watch?v=KchxYM0WhDM).